With regards to the best way to make money online, adsense is always the answer to every blogger’s questions. But recently, it’s not that easy to get 100% approval from Adsense application because of the numerous new updates of Google Adsense policies. If you don’t have the patience in your heart on Adsense program that starts with applying, you will surely not get somewhere. You will be lost nowhere. Adsense is for those who are patient enough to wait for the result. And getting approved in this pay-per-click program will give you lots of opportunities to earn more in the future. This will make you more successful with your career as online money maker. 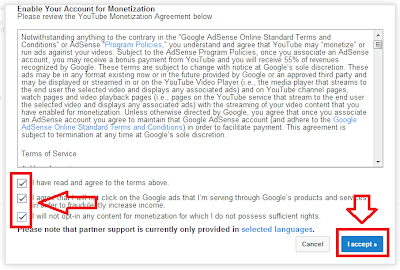 The best way to earn money in the net with pay-per-click system is Adsense, I repeat. 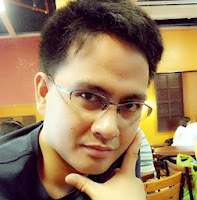 In this article, I will be teaching you how to get Adsense account 100% approval in just 1 to 24hrs. 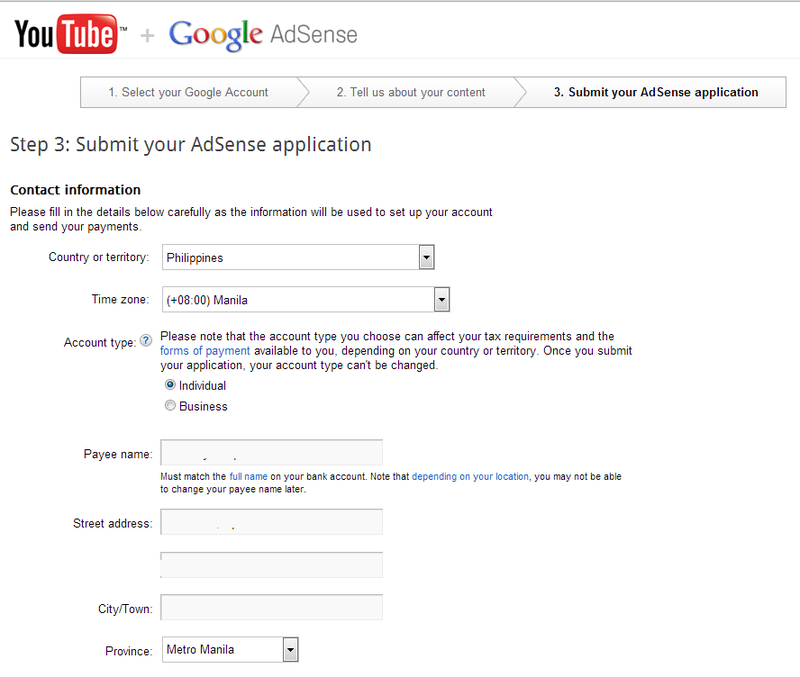 Many bloggers or website owners would like have Adsense account but most of them get disapproved. 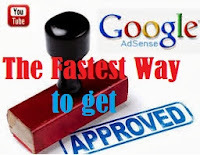 Shown here is the fastest way to get Adsense account approval tricks that was proven by most of Adsense users out there. Be one of the several accounts that has been approved for so many years. Take note that it is more advisable to apply first your blog directly with google adsense and if you got disapproved, your option is to have an hosted adsense account from YouTube or apply for other adnetworks here. If you want to apply directly with adsense using your blog you may first consider reading The Advance Adsense Tips And Tutorials Here. 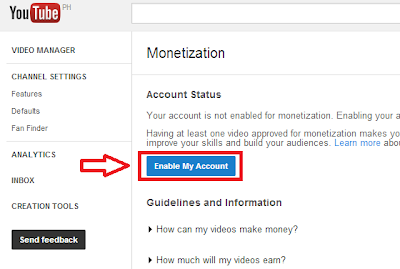 You just need an active gmail account and YouTube account with atleast three uploaded original video of yours. 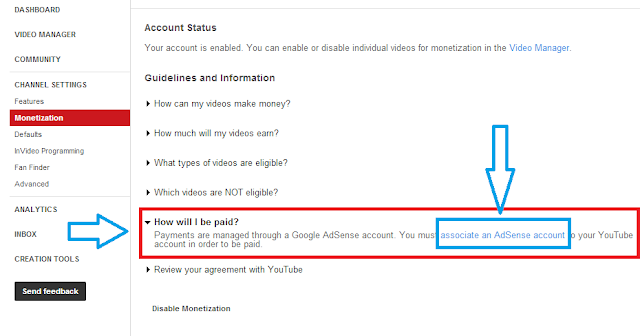 You can Upgrade your Hosted Adsense account into Normal adsense account after you got approval with youtude hosted adsense account. Step 1. Signup new gmail account here. Step 2. Go to You Tube and login with your gmail account and set up your YouTube account. Step 3. 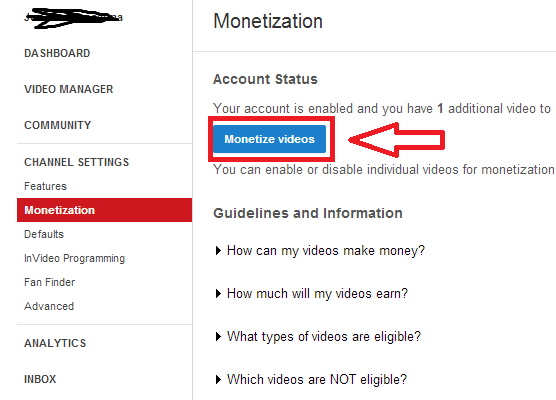 After setting up your You Tube account go to You Tube Monetization Page Here. Step 4. Now, Click "Enable My Account"
Step 5. Tick all boxes same as the image below then accept the Terms and Conditions by clicking "I Accept"
Step 6. Create Youtube Chanel then upload atleast 3 videos of yours and make sure to add proper descriptions for your uploaded videos before publishing it. Take note that the videos must be your original videos, not necessarily means that the video must be edited or nice videos, as long as it is yours -not copied- you will surely got approval. Step 9. New page will show that stating "You will be redirected to AdSense to link your existing AdSense account or create a new one if you do not have one yet. Once you have completed this process, you will be redirected back to YouTube." Just click next same as the image shown below. Step 10. Click "Yes, proceed to Google Account sign in". Step 11. 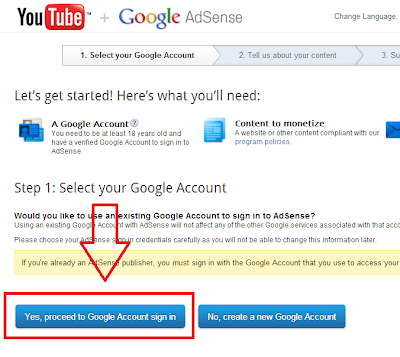 Once already Signed-in with your gmail account you will be redirected to Adsense signup page, Select your You tube Channel then continue. Step 12. 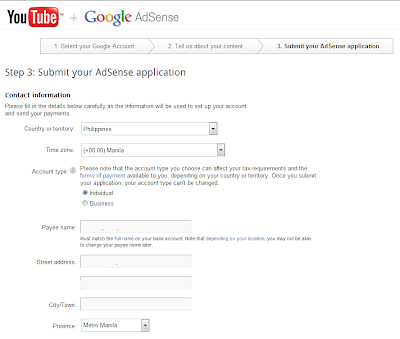 Complete all needed information about your Adsense account. Make sure to fill up the form correctly specially the address where the PIN will be delivered once you reached 10$ min earnings for the activation of your YouTube hosted Adsense account payout options, then Submit and wait the page to load. Step 13. 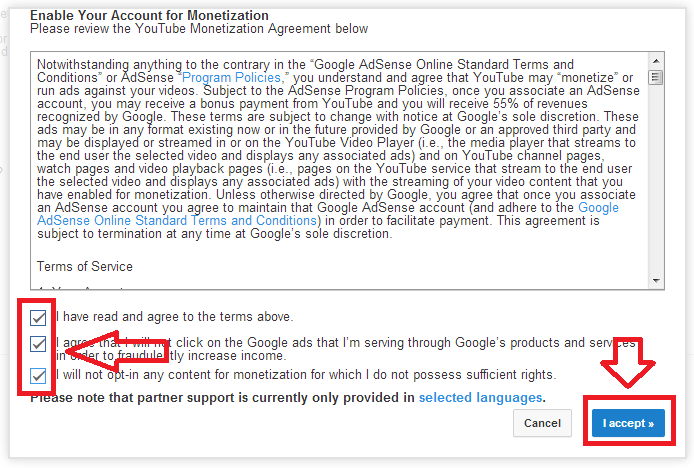 A confirmation stating "Your AdSense Application has been submitted and is being reviewed. You will receive an email regarding the status of your application within about a week." will shown once you already done it all right. Step 14. Now check your email used to signup for You Tube Hosted Adsense account from time to time and it will be approved within 24hrs maximum waiting time. Mine got approved in just 30mins! If you got approved, CONGRATULATION! Step 1: Sign in to your Adsense account and click on Account settings. Step 2: Scroll you page down and you will see a link like Sites authorized to show ads. 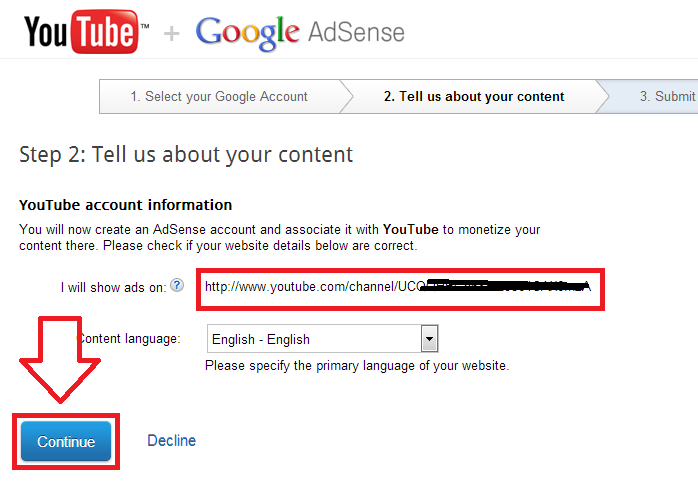 Step 3: Now add URL of your website where you want to show Adsense ads. Step 4: Now go to My ads & create new ad unit, get ad code and implement on your blogs. 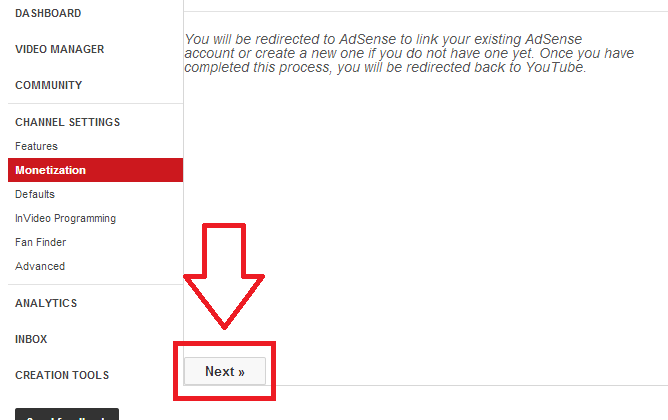 If you have further queries or you want to share your experience about this fastest trick to have youtube hosted adsense account approval, just post comment below, thanks!